The following is a list of services you are entitled to once part of the concierge service family. During the year in which this agreement is in effect, the physician will provide a limited number of office office visits, including general, administrative, and preoperative physicals. General medical services included during office visits are as follows: Annual physical examinations for patients of all ages and all of the regular office visits and consultations, including dietary and nutrition counseling, which occur in my Family Practice office will be offered. FAA, DOT, Coast Guard, school, college, preoperative and other administrative exams are available. Medical procedures that are available, if needed, during any of these office visits include: Pulmonary Function testing, audio and vision testing as appropriate in a Family Physician’s office, EKGs, removal of lesions in the office, and low-severity/non-life-threatening trauma management and laceration repair. Patient education materials will be available thru a variety of electronic resources. Diagnostic testing may be performed, if needed, during any of the office visits. A number of CLIA-waived laboratory blood tests, urinalyses and procedures will be available in the office. Dr. Trombley will be available for prescheduled office visits, Monday through Thursday between the hours of 9 AM and 5 PM, except for times otherwise specified. Additionally, Dr. Trombley will be available for consultation 24 hours a day, 7 days per week via telephone, voice messaging, faxing, e-mail, face time and Skype, as is practical. He will return phone calls, voice messages, faxes, and e-mails as promptly as is practical and respectful of both the patient’s and physician’s time and schedules. 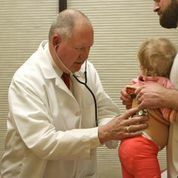 To the extent that the patient needs any services, procedures or testing not included in this concierge practice, including hospitalization, the physician will refer the patient to the appropriate health care provider, including the hospital of the patient’s choice, and coordinate with that health care provider. The physician will coordinate the transfer of patient medical records to health care providers to whom the patient has been referred. The physician will coordinate and facilitate the quick access to the Alaska Regional Hospital or Providence Hospital (of patient’s choice) emergency room. Appropriate orders and referrals will be made for services not performed within the practice, as is routinely done in a Family Practice office. Patient will be educated on how to access his or her own medical records that are available by utilizing the Patient Portal that is part of the electronic medical records’ system. What is the goal of Dr. Trombley with this practice? The long-standing reputation and actions of Dr. Trombley speak for themselves. The goal of this office is to provide optimum medical care in a manner that is attentive to the patient’s medical needs. Concierge medicine is highly personalized medical care between the physician and the patient and, as always, the patient’s health and wellbeing is the primary concern. I already have good insurance coverage. Why should I sign up with a Concierge Physician practice? That is great if you have a low deductible insurance policy. This practice model is not about insurance coverage. It is about providing the patient with the best medical care possible in an office setting. It is about being able to keep your doctor and about having access to your doctor who knows you and understands your medical needs and concerns. I don’t have very good insurance coverage. Why should I sign up with a Concierge Physician practice? Being a part of a concierge medical practice is about providing quality medical care in the doctor’s office. A concierge patient is paying for their medical care up front on a budgeted plan that they have arranged. Thus when the time comes they do not need to consider whether or not they have the immediate cash for their doctor’s appointment. They are able to get the medical care they need without that added concern. It is about providing the patient with the best medical care possible in an office setting. It is about being able to keep your doctor and about having access to your doctor who knows you and understands your medical needs and concerns. I don’t have any insurance coverage. Why should I sign up with a Concierge Physician practice? In this case, if one continues without insurance there will now be other issues involving governmental agencies to deal with. With this model the patient will have the option to purchase a major medical insurance plan and still have their more routine medical care covered. You will have a physician who knows you and understands your medical needs and concerns. Is this type of business concept really new? What services are provided as a part of the annual fee? This office offers care that a family practice setting provides with 24/7 access to Dr. Trombley. What about labs, x-rays, specialists’ fees and hospitalization? Consult the Patient Agreement to see what services are included in the Tier level of the Practice’s annual fee. For medical procedures and services not performed by or covered in this practice’s annual fee, the patient will be responsible for seeing that those costs are covered by themselves and their insurance provider. What do I do if I become ill while traveling or away on an extended trip? If you have a life-threatening emergency, you would call 911. Be sure to notify Dr. Trombley so that he is able to provide consultation or forward medical records to that provider for their use in your care. If you have a minor health issue, call Dr. Trombley directly. Most prescriptions can be written for anywhere in the country. Controlled substances are not. If you go to an urgent care or emergency care center or are hospitalized, Dr. Trombley will be readily available to provide phone consultation or forward medical records to them for their use in your care. Dr. Trombley will assist you in seeing any specialist you want or need to see and will coordinate your care with them. All prescription medications are the responsibility of the patient. Discuss this with your insurance provider. Do I still need insurance if I enroll with Dr. Trombley? Yes. This medical practice model is not an insurance company or program, nor does it take the place of your general health insurance coverage plan. Yes, the insurance will be billed for your office visit for payment for the office visit. The patient is responsible for paying their monthly fee on the first of each month. Our office now has the ability to electronically forward your medical encounter statement directly to your insurance company for reimbursement of your visit. See the contract for details. Is Dr. Trombley a Participating Provider for Medicare? No. Dr. Trombley has opted out of the Medicare program and does not participate in the Medicaid program. Does Dr. Trombley bill Medicare or other insurance plans for the annual concierge fee? Insurance companies are designed to pay on a per visit basis. You have paid the concierge fee, and any other costs for that visit. Your doctor’s visit is billed to the insurance company by our office. The insurance company will then apply that charge either towards your deductible or, if your deductible has been met, will then be paid to the doctor for the payment for the visit. See your contract for the details. Patients are advised to check with their tax consultant to clarify qualification for fee deductibility in their particular circumstance. Is Dr. Trombley on the medical staff of a hospital? Yes, he is on staff of Alaska Regional Hospital. If you require hospitalization in Providence Hospital or Alaska Regional Hospital, Dr. Trombley will be available to work with the attending physician, make visits and assist in coordinating your inpatient care. Your medical records will be available to your treating physician. Will I be required to pay my annual concierge fee even if I do not use Dr. Trombley’s services? Yes. Paying your concierge fee allows you to be a member of Dr. Trombley’s unique patient panel whether you are ill or not. It is not a membership fee but rather a pre-payment for services to be provided, both in the office as well as the physician’s time for being available to you 24/7. However, you are encouraged to make at least one office visit per year as a wellness checkup. You will be able to utilize medical consultations via voice, emails or faxes for appropriate non-urgent health related questions. Remember, Dr. Trombley is making himself accessible 24/7 to assist his patients. Dr. Trombley has always done my FAA examinations. Will he still do them if I am not a member of his Patient Panel? Yes. Dr. Trombley will still do all three classes of FAA examinations, DOT examinations, Coast Guard examinations, etc. Will Dr. Trombley be a Preferred Provider for my insurance company? Dr. Trombley has reviewed contract information from insurance companies and will not allow them to control your medical care. Dr. Trombley’s fees are not determined by the insurance company. However, with Dr. Trombley’s new structure you also will not be penalized by your insurance company for his choice in looking out for your best interests.